Should You Turn Your Blog Into a Book? Are you interested in publishing a nonfiction book? Do you already have a blog in that niche? If you answered "yes" to both of those questions, you might be a prime candidate for turning your blog into a book. This is largely what I'm doing with my own nonfiction book, The Query-Free Freelancer. 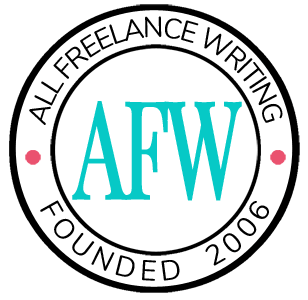 I used my freelance writing blog to help me organize the book outline, and much of the basic content came from the site (although in an edited and sometimes completely rewritten form). I also added a lot of content to the bits taken from the blog, but that isn't always necessary. Let's look at some of the reasons you might opt to turn a blog into a book, and some questions you should ask yourself before doing so. Why Turn a Blog Into a Book? Here are some of the ways turning a blog into a book can be good for you as an author. You already have a basic organizational structure. You already have much of the content required for your first draft. You already have readers (meaning a built-in customer base). You already have somewhere to promote the book when it's released. Basically, turning a blog into a book can save you a lot of time and give you a marketing edge when it's complete. How much content does your blog contain? - If you want to turn your blog into a book, it helps to have a book's worth of content already there. In my case, I probably had enough content for two or three books in the freelance writing niche, so I narrowed down the subject area, pulled the relevant content, and added to it where necessary. If your blog is still fairly new, you might not have enough content yet to convert it into a book. Would the blog / content structure translate well into a book? - If your blog is mostly a collection of personal ramblings sorted by publication date, you might have a difficult time translating that into book form. On the other hand, if you have a well-organized category structure, your blog might be fairly easy to turn into a book -- it's like having a TOC ready to go. Do you have a large existing audience interested in a book? - Writing a book based on your blog is best when your blog already has a built-in audience. Think of the blog as a market research tool. You get to see what your audience likes by publishing in bite-sized pieces. If you don't have much of an audience yet, spend some time building one before converting your blog to a book. Not only will that help you decide what to put in and what to keep out, but you'll have a large group of readers willing and waiting to buy the book when it's published. That gives you a leg up on many indie authors who don't have a solid platform before publishing. Have you turned a blog into a book? Do you plan to? What was the experience like for you, or what do you hope will happen? Why did you make the choice? Leave your stories, thoughts, and tips in the comments below.